After posting several comport food recipes, I thought I would share a secret with you…I don’t eat like that on a regular basis. You see, I love anything with butter, sugar and flour; cookies, cake, scones, shortbread, you name it. In fact, I am known as the birthday cake baker in my family. Problem is, the combination of butter, flour and sugar does not like me. It makes me fat…quickly. 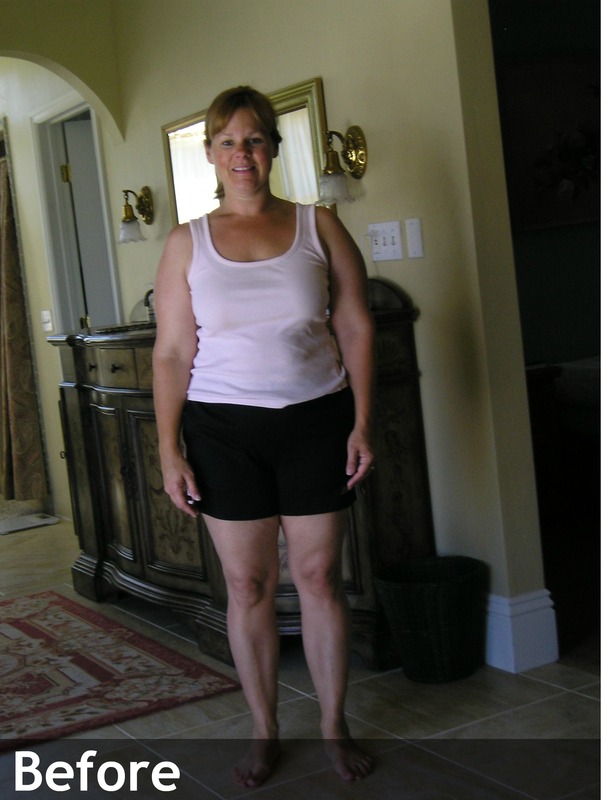 After losing 45 pounds a year and a half ago on the Hcg diet, I determined NEVER to let myself gain the weight back. After years of yo-yo dieting, I have finally learned how to maintain my weight-loss and still enjoy the foods I love. The secret is…moderation! Wow, I know, that was easy. But is it really easy? Not for me. I love food. 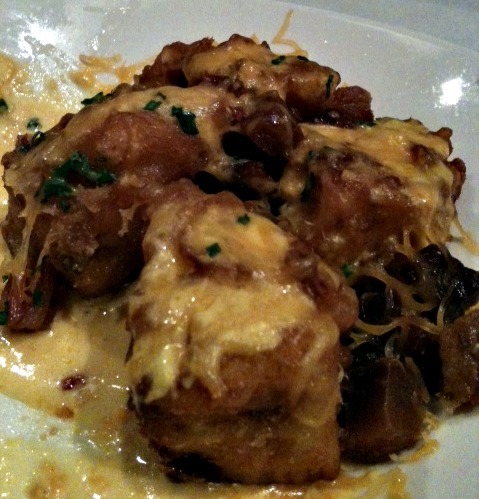 I now allow myself to indulge in starchy foods here and there only if I am below my top weight. For me, that’s 130 pounds. Once I hit 130, I cut ALL sugars and starches out of my diet until I get back to 125 (my happy weight). For example, two weeks before Thanksgiving, I went on a date with my King to The Urge Gastropub, a restaurant known for their amazing burgers and local beers on tap. Well, I LOVE a good burger and I LOVE a good beer. 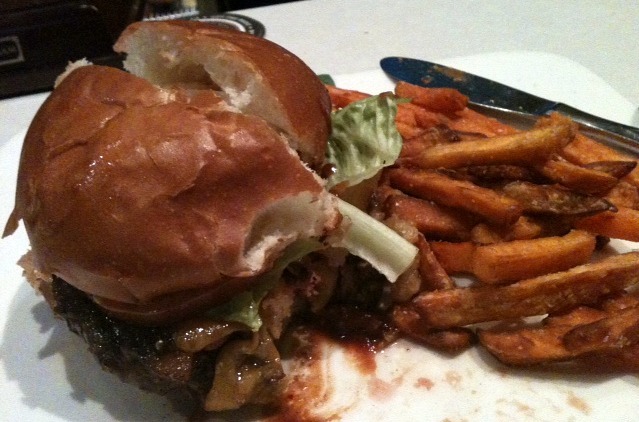 This was the barbecue bacon burger I had, and yes, I ate the whole thing. Next time we go, my hubby and I will split a burger and I’ll eat mine sans the bun. I may still have some of the sweet potato fries because life is short. 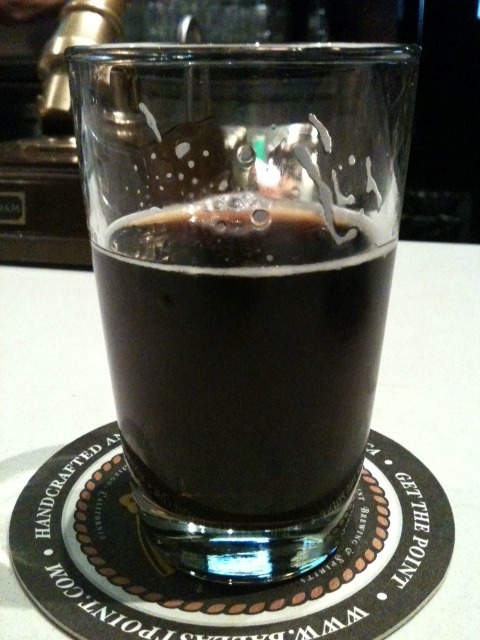 This is Stone Brewery’s Vanilla Bean Porter. Did you hear me? VANILLA BEAN BEER! My new favorite! Throw-in some deep-fried macaroni and cheese bites with house-made beer cheese sauce (have mercy!). See how I get carried away??? Needless to say, I was up over my 130 limit. Not to panic, I spent the next week and a half eating mostly protein and almost no starch or sugar. I was down to 125 just in time for Thanksgiving! The best scenario is to practice moderation during your meal, but if that doesn’t work out so well, then you need to have moderation in you daily life. Basically, if you have a bad day, you need to have a good day (or two, or a week, in my case) to balance it out. This time of year is especially hard with all of the treats and parties. I know. I’m sure people like me are no help either. I will be posting some ridiculously sinful recipes for your holiday celebrations this month. Back to my point: I went to a women’s brunch at my church last weekend and, of course, I had to try one of everything. Gracious, it was embarrassing how huge my plate of food was. Everything was delicious! Then I had a small dinner and will be eating low-carb all week in preparation for Cookie Day! 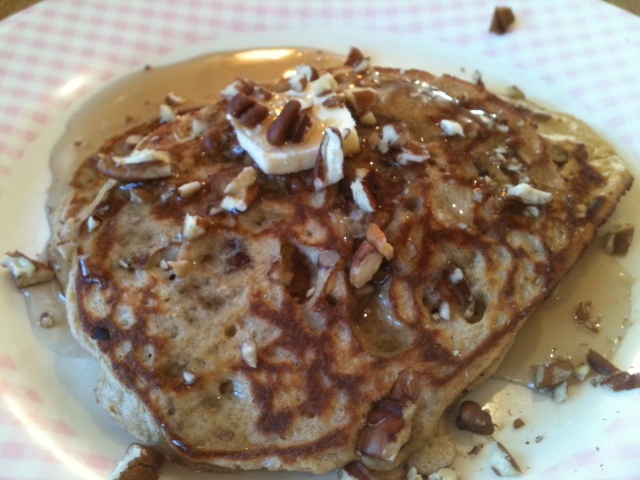 For example, this morning I made Cinnamon Pecan Coconut Pancakes with sugar-free maple syrup and butter. I’ll probably have some eggs for lunch and a sirloin tip with blue cheese for dinner. I’ll be down a pound by tomorrow. I promise to post the recipe for my pancakes soon.